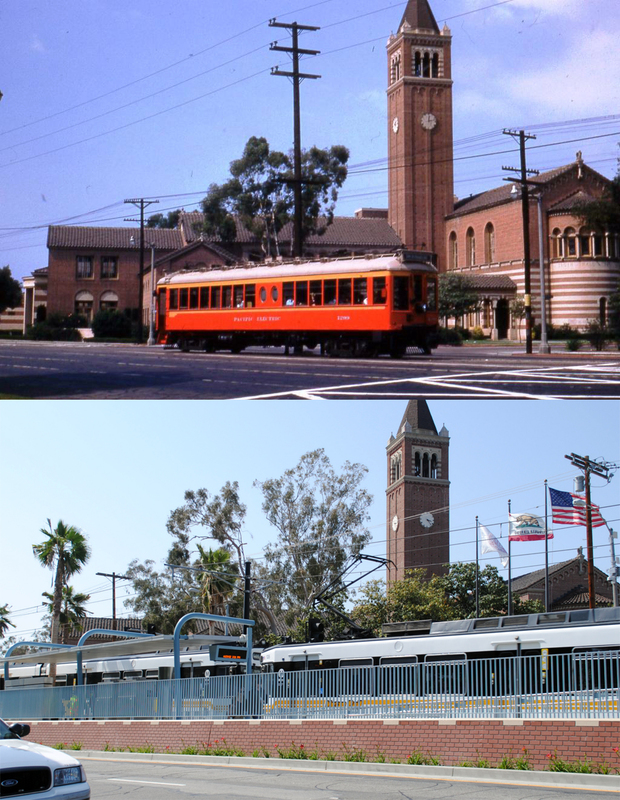 Travel from downtown to USC takes about 12 minutes on the train, plus 2 minutes walking from the station to the department, and a few minutes walking from your hotel to the station in downtown (plus possibly time to buy a ticket). The train runs every 12 minutes from 5 am until midnight (2 am on Friday and Saturday night). Board at 7th and Flower, take an Expo Line train towards Culver City, go four stops to USC/Expo Park, and the philosophy department is immediately there, with a tower and courtyard. The conference is in room 106. Tap your card at the turnstile to get into the station. (You won't need it again once you're in, so you can put it away.) Go down the stairs to get to the level with the Expo Line (if you entered at Flower, stay right). Trains to multiple destinations depart from this platform. Look for an Expo Line train towards Culver City. At the philosophy building, enter the courtyard. The department office is immediately on your left if you need to do anything there. The conference will be in room 106, which is inside, just past the department office, on the left. If you accidentally get off the train one stop too early or late, you will also be at USC, and will need to walk across campus to the philosophy building, which is labeled MHP or Mudd on campus maps. For people coming from further away on Metro, day passes will save money. If you are near a subway station on the Red Line or Purple Line, take the subway to 7th St, go up to the level where the Expo Line departs from (double-check which staircase you go up to make sure you end up on the side of the platform where people are waiting), tap your card again at the posts, and then follow the above directions. There are also other public transit options from other parts of the city, notably the buses down Vermont Ave (204 or 754), Alvarado St and Hoover Ave (200), and Figueroa St (81). You can find other options on Google Maps transit directions, or by asking Kenny at easwaran@usc.edu. Return to downtown is very straightforward. The Metro station is in the street right out front of the philosophy building. Make sure to tap your card at the post with the sensor (you can load more money on it at the machine if needed), and wait on the platform heading towards downtown Los Angeles. Most people will ride all the way to the end, at 7th St, but some will be able to get off one stop earlier at Pico.